In January 2005, the 1st China-Europe International Symposium on Software Industry Oriented Education was held in HIT, Harbin, China. The initial abbreviation of the symposium was CEIS-SIOE. In 2006, the 2nd CIES-SIOE was again held in HIT, Harbin. In that conference, it was decided that this conference should be held in each year in exchanged side of either China or Europe. Then the 3rd Symposium was held in TU Dublin, Ireland, in 2007. The initial abbreviation of the symposium was changed from CEIS-SIOE into CEISIE. 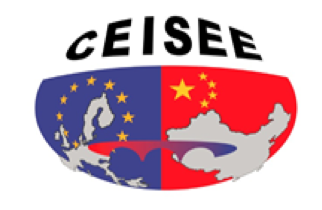 The CEISEE aims at exploring new approaches to develop software engineering discipline and software engineering education in both China and Europe, according to the changing tendency of technical development of software engineering and educational requirements of the software talents all over the world. The CEISEE is a good platform for the educators, industrialists and governmental officers related to software engineering education to exchange their ideas, to share their experience, and to develop their academic community in this domain. The CEISIE/CEISEE symposiums were very successful and attracted great attentions from educators, industrialists and governmental officers, who are interested in software engineering education, in both China and Europe. Until now, more than 800 participants from 16 countries, e.g. China, Ireland, UK, France, Germany, Italy, Spain, Switzerland, Sweden, Finland, Poland, Russia, USA, Australia, Tanzania, and South Korea, have attended symposiums.